As the end credits rolled in the theater where I saw this film, I sat in my chair completely astounded by what I had just witnessed. Even as I write this, I'm not sure if I loved this movie or hated it. Although I'm pretty sure I loved it. This film jumps right into the action and never lets up. It's a high-octane face punch that keeps coming at you. There is one scene about halfway through the film that finally gives the audience a break. I could hear the audience give an almost collective sigh of relief. 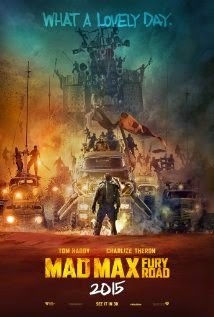 Interestingly, this film is part of the MAD MAX franchise and it is set in that world, but the story is actually led by Charlize Theron's character. While Max does help out, she is the driving force behind everything that happens as well as the person that most often gets them out of their seemingly hopeless predicaments. This movie is loud, intense, gross, weird, disturbing and hilarious in its over-the-top presence. You may love it or you may hate it, but either way it's a flick that should be experienced on the biggest screen possible. THE D TRAIN is a complete train wreck. Imagine a sequel to THE BREAKFAST CLUB where Judd Nelson and Emilio Estevez, who ended up marrying Ally Sheedy, are a little bit too happy to see each other after all those years. That is THE D TRAIN in a nut shell. It's got the feel and soundtrack of an 80s flick, but it's about a group of adults that graduated high school in 1994 and it's set in 2014. It's not funny, it's not dramatic, it's not even quirky or weird. It's just there. 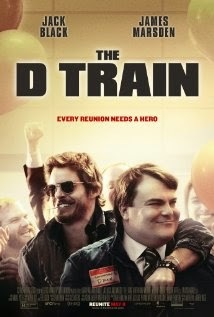 I'm a huge fan of Jack Black, but this movie does not do him justice. I'm glad to see him in more serious roles, but this isn't it. At 97 minutes you'd think this movie goes by pretty fast. Unfortunately, it drags on making that 97 minutes feel more like three hours. It's time you will never get back. Even die hard Jack Black fans should skip this flick. Otherwise you'll be disappointed.